The team at Health First Chiropractic is dedicated to caring for your health and wellbeing. All chiropractors at Health First Chiropractic are five year Australian university trained, nationally regulated and government registered healthcare professionals. Registered through the Australian Health Practitioners Regulation Agency, chiropractors are required to adhere to strict and extensive educational requirements and standards to become registered health professionals in Australia. Each year we complete continuing professional development courses and practical training to upgrade our skills and learn the latest advances in spinal care, to deliver the best to our chiropractic patients. Our highly trained practitioners will accurately assess and diagnose your complaint, to create a personalised management strategy specific to your unique needs. Dr Joshua Griffiths is a trained and registered chiropractor bringing over 15 years of chiropractic experience to the Health First Chiropractic team. Starting his chiropractic career in 2004, Josh worked as an associate chiropractor in private practice at Victoria Park for eight years, whilst establishing Health First Chiropractic in 2006 with his partner in life and business, chiropractor Dr Naomi Swan. Josh enjoys treating a wide range of patients and conditions and particularly loves helping patients manage the common aches and pains from work, accidents or sports injuries, “computer syndrome”, overuse or underuse issues and stress. He is passionate about helping his chiropractic patients stay well tuned and functioning at their very best. His down to earth nature and practical approach has helped thousands of patients live healthier, happier and more active lives through chiropractic care. When Josh is not helping people with their spine care needs, he can be found beach fishing along the Coorong, camping in the Flinders Ranges or four wheel driving anywhere his car will take him. Dr Naomi Swan is a trained and registered family chiropractor with a comprehensive understanding of patients’ spine care needs and concerns. She is passionate about providing high quality, ethical patient focused care. Naomi has been under chiropractic care from a young age and has experienced firsthand the benefits of having a healthy spine and nervous system. After experiencing back pain as a teenager following a school skiing trip, she was introduced to chiropractic care with amazing results. Not only did chiropractic care help relieve her back pain but it also resolved the migraines she suffered. 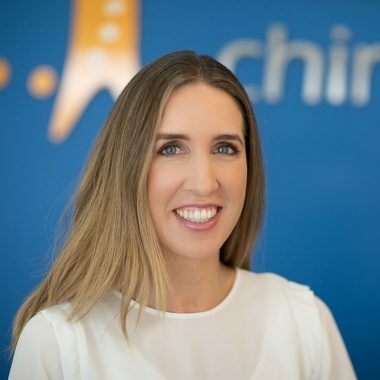 It was this positive experience with chiropractic treatment that stayed in the forefront of her mind and led to her becoming a professional chiropractor in Adelaide. Naomi enjoys treating a wide range of patients and conditions and particularly likes the challenge presented by chronic degenerative conditions of the spine and lumbar disc injuries. She possesses the compassion, patience and understanding which is much needed to manage these conditions. When not providing chiropractic treatments, or tending to the management needs of Health First Chiropractic, Naomi can be found at the gym keeping fit through a combination of running and HIIT. During the weekends she enjoys spending family time with Josh and their two boys. 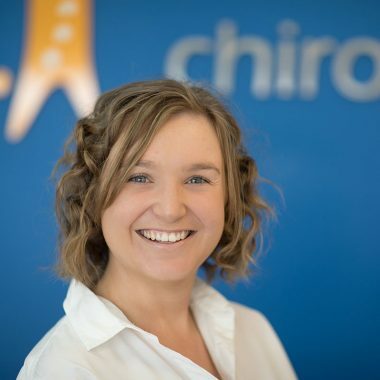 Dr Ella Bourne joined the Health First Chiropractic team is 2014, and is a trained and registered chiropractor with a keen interest in anything that relates to spine care, sports health or scoliosis (spinal curvature). Growing up as an avid hockey player and umpire, Ella is well aware of the common injuries that can affect athletes, and is committed to sports injury management and prevention, as well as helping patients return to a high level exercise and competitive sport. Since 2014, Ella has been devoted to postgraduate education in the field of non surgical scoliosis treatment, and now provides specialised scoliosis management services. Ella has received advanced training and certification in SEAS (Scientific Exercise Approach to Scoliosis) and is committed to assessing and implementing specific exercise programs one-on-one with scoliosis patients to ensure they receive the most suitable evidence-based rehabilitation program. Ella partners with a network of health professionals to provide the right treatment at the right time. She enjoys bringing these facets of health together, educating and empowering her patients to make life-changing choices for their future wellbeing. In her leisure time, Ella enjoys watching any form of sport or baking up a storm with all things chocolate. Derek Lawson is a qualified remedial massage therapist, registered with all major private health funds giving you the ability to claim a rebate for any chosen massage service. 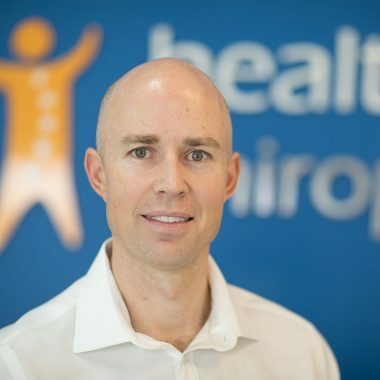 Joining the Health First Chiropractic team in 2017, Derek has wasted no time immersing himself in the field of musculoskeletal health, quickly becoming recognised for his unique ability to find and relieve those “problem spots”. With a keen interest in professional sports and rehabilitation, Derek’s massage qualifications include Australian Institute of Fitness Sports Trainer Certification as well as specialised training to become an Institute Certified Functional Movement Therapist. Derek is committed to identifying, diagnosing and treating soft tissue and movement based dysfunctions in order to prevent potential and recurring injuries. as well as stretching and cross-fibre techniques, to ensure each patient’s specific needs are addressed. When not in practice, Derek is most likely somewhere in Adelaide donating his time to a good cause. Whether volunteering at the local sporting club or charitable organisation he can’t get enough of helping people. Recently Derek kayaked the length of the Murray River raising money for the Brookman Ward of the Women’s & Children’s Hospital, and in 2014, Derek fulfilled a personal life goal of trekking Kokoda Track. 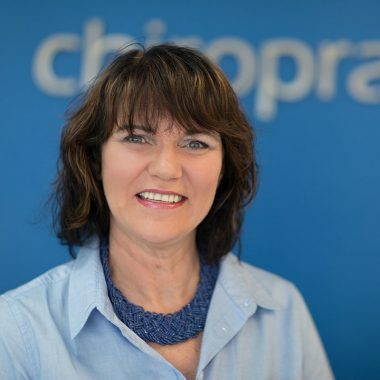 Karen is an experienced chiropractic assistant providing crucial front of house support for the team, and maintaining high standards for all aspects of the practice. Since joining our team in 2010, Karen has gained a strong understanding of patients’ needs ensuring all patients feel welcome, comfortable and confident. 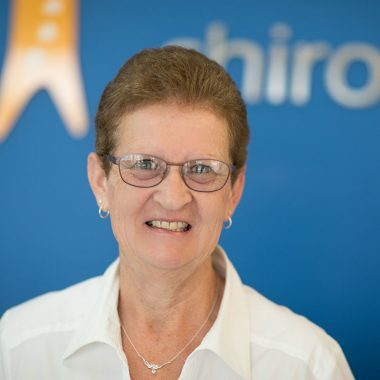 Cheryl is an experienced chiropractic assistant with an extensive background in medical reception in various health related organisations. She takes a great deal of pride in offering exceptional customer service and always offers our clients a warm and friendly environment. Cheryl’s professional nature and sense of humour is well appreciated by our team and our patients.